The March edition of I nMotion, the International magazine of the FIA – Fédération Internationale de l’Automobile – carries an article in which one of their Regions (1) is disappointed and brands as “Flawed” a report on the cost-benefit analysis of Anti-Lock Braking Systems for motorcycles. We assume that the article refers to the Impact Assessment conducted for the Internal Market and Consumer Protection (IMCO) committee. This Impact Assessment looked at three measures contained in the European Commission’s proposal for a “Regulation on the approval and market surveillance of two- or three-wheeled vehicles and quadricycles”. This was relevant to three compromise amendments to these measures which were submitted by MEPs to the IMCO Rapporteur, Mr van de Camp’s report in February 2012. The FIA article appears to focus on the amendment concerning the mandatory fitting of Advanced Brake Systems (Combined Brake System (CBS) and/or Anti-lock Braking Systems (ABS)), moving the ABS introduction date forward by a year and extending Advanced Brake Systems cover to Powered Two Wheelers of more than 50cc. At Right To Ride, we wonder if this is a “veiled” promotion of one ABS manufacturer over others? The reason we wonder, is because there appears to be a comprehensive and systematic lobby by one ABS manufacturer. We note for example, that the amendment agreed on by the IMCO committee would see all two-wheelers over 50cc installed with ABS (Advanced Brake Systems) as standard by 2016. This amendment was put forward by an MEP who just happens to have in her constituency, Europe’s largest manufacturer of ABS systems. Is this a coincidence? Thus we assume that the FIA is not wholly in favour of the amendment and only want an Antilock Braking System (ABS) on medium-performance motorcycles to be mandatory, but would like to see this time scale reduced. 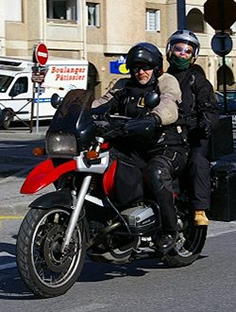 At a public hearing of the European Parliament Committee on the Internal Market and Consumer Protection in March 2011 Luca Pascotto, Mobility Director for FIA Region I, warned that “ABS for motorcycles on its own will not automatically enhance road safety. 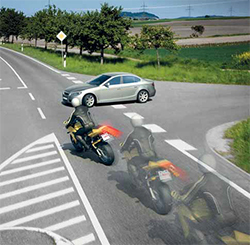 Only through ABS driving and braking practice will there be real improvements on safety. 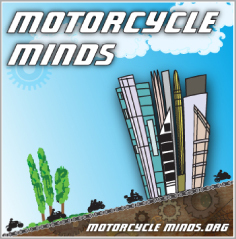 Our opinion at Right To Ride is that mandatory ABS will not be the panacea that will “save” the proportion of riders lives in collisions that is being reported by various sources, because there are just too many variables when considering the cause of motorcycle collisions. It would appear that FIA have tempered their views and recognised that ABS on its own will not automatically enhance road safety. The final Impact Assessment to IMCO is to be published next week (2nd to 6th April). BRUSSELS An EU report on the cost-benefit analysis of Anti-Lock Braking Systems for motorcycles (ABS) has been branded “flawed” by Region I of the FIA, with the office’s Director General Jacob Bangsgaard, saying that the “disappointing” report had failed to include evidence from a number of key stakeholders in the system. According to an FIA statement, the key findings of the study are based only on the use of manufacturers’ 2011 figures for the price (€500) paid by consumers for ABS systems. However, the FIA insists that suppliers say manufacturers only pay as little as €150, including fitting, for the ABS technology today, with the price expected to drop further once the legislation on ABS is passed. “These figures highlight the significant difference that exists between the cost of ABS to manufacturers and the price consumers pay,” added Bangsgaard. The FIA statement pointed out that, in its opinion, the report “dismisses future savings as a result of economies of scale once the legislation is passed. This is in total contradiction to the experience of Electronic Stability Control (ESC), which became mandatory in November 2011.